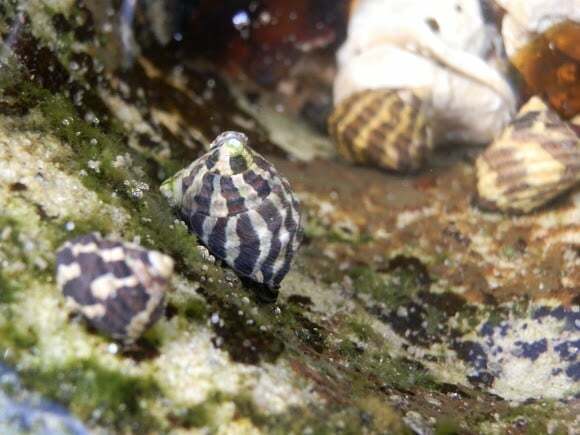 This aquarium favorite snail is named for its characteristic zebra stripes pattern that adorns its body. The snail has got a simple but impressive beauty that makes everybody want to have them in their aquarium. Before you get into the scramble to own the snail, it important to note that they are voracious algae eating animals. That said, if you are in for an animal that you would like to have in your aquarium to eat away those unsightly algae in your glass aquarium then the Zebra Snail might just be your best bet. These freshwater snails will help to clean the substrate in your aquarium by keeping the substrate free of algae because they eat them. The snails are hardy and therefore may not require lots of attention thus making their maintenance quite manageable and easy. 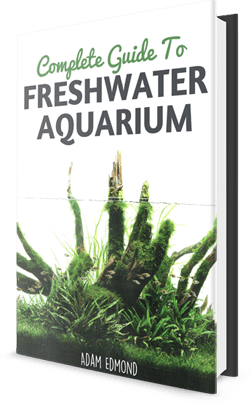 They are an ideal option for beginning snail aquarists owing to the minimal maintenance requirements. The snails are native to Africa and were originally sourced from Kenya, Tanzania, South Africa, and Mozambique. Unlike most other snails that are hermaphroditic, the zebra snail has a male and female. The snail features characteristic black and golden stripes pattern that is similar to the zebra stripes. The amazing elegance and beauty of the snails is what makes them the most sought aquatic snail in the hobby. The snail is rather small in size and the average body size is usually about one inch or even smaller especially those that are kept in captivity. The snail is known to live in freshwaters but has the capability to survive in saltwater as well. The native natural habitat range of the snail includes Kenya, Tanzania, South Africa, Somali and Mozambique. The snail is most commonly found in small water bodies including streams, rivers, and ponds. The snail spends most of its time in freshwaters but when it is time for breeding it goes to brackish waters where it does the breeding. This is a very important aspect of the snail that you need to learn if you will want to breed them at home. Because the snails are highly allergic to copper, it best to check out for any copper traces in the tank water before you introduce the snail in there! Also ensure that you supplement the animals with sufficient levels of calcium as this will help the snails to maintain the health of their shells. You can do this by feeding the animal foods that are rich in calcium such as spinach, green kales, additive, and any other green plants rich in the mineral. The Zebra Snails are primarily herbivore that is they feed exclusively on plants and plant matter preferring to eat algae. In fact some aquarists will rear these snails to help eat up the algae inside their aquariums to keep things clear there! Apart from algae which form their primary diet they can be fed other plant food such as spinach, kales, carrots, zucchini etc. It is important to note that these snails will simply not breed in freshwater. If any success is to be found with these snails then they need to be placed in brackish salty water for breeding to occur. Unfortunately, rearing the juveniles of the snails in salty water is very difficult so is raising them in freshwater. This is the reason why most zebra snails that are raised in captive environments usually have a short lifespan. The salinity levels in the tank need to be raised to at least 1.007 and follow up need to be made by use of a refractometer. The temperature also needs to be conditioned to upwards of 79°F. You can then use chips that are rich in calcium for substrate. The snails are usually peaceful and will easily blend in the same environment with other peaceful tank mates. The snails have been found to live in harmony with other aquarium animals such as docile shrimp, docile small fish, and even other peaceful snail species. Proper watch should however be observed as the snails are known to easily climb out of the tank. Fortunately, due to its vibrant coloration seeing it when it is out of the tank is easy and it can then be captured and returned to the tank. The snail has the capacity to live for several minutes when it is out of the water. The Zebra Snail is one perfect aquarium addition you can make in your aquarium if you want something that will help you get rid of algae in there. Apart from the snail’s ability to eat algae, it also looks so beautiful and will add some oomph to your otherwise dull tank. The snails are native to the African continent and are most commonly found in countries such as Kenya, Tanzania, South Africa, and even Somali.